Following is a partial list of local and national online resources related to home health care. Addicted.com is a resource for finding addiction treatment centers, locating interventionists, recovery professionals or for obtaining related services and products. The Department of Mental Health and Addiction Services promotes and administers recovery-oriented services in mental health treatment and substance abuse prevention and treatment. Drug Rehab and Alcohol Rehab Services is a no-cost public benefit service designed to help addicts, alcoholics, chronic relapse victims, and their families find effective treatment and intervention for alcoholism and addiction. Dryblog provides recovery blogs, websites, and information about substance abuse, health, spirituality, music, shops, and diversions. The National Council for Community Behavioral Healthcare is a not-for-profit association representing 1,300 organizations providing treatment and rehabilitation to help people recover from mental illnesses and addiction disorders. Recovery Connection is a national, 24-hour help line offering free assessment and referral service for all addiction and mental health concerns. Sober.com provides a directory with free resources to assist addicts and their families seeking help for themselves or a loved one. Through relationships with treatment facilities and addiction professionals, Treatment Solutions Network helps clients with the creation and coordination of addiction recovery plans. The Alzheimer's Association is the leading voluntary health organization in Alzheimer’s care, support and research. Services include MedicAlert® + Alzheimer’s Association Safe Return®, a 24-hour nationwide emergency response service for individuals with Alzheimer’s or related dementia who wander or have a medical emergency. A service of the National Institute on Aging, ADEAR provides information about Alzheimer’s symptoms, impact on families, nursing care plans, and research into possible causes for Alzheimer’s disease. The Alzheimer's Foundation of America provides optimal care, services and information to individuals with dementia, and to their caregivers and families. Care.com’s Senior Care pages help caregivers and seniors find a wide variety of resources, both professional and informational. DementiaGuide provides up-to-date information that can be used to create individualized care plans for symptom management and communication with physicians and family members. A nonprofit, charitable organization, Children of Aging Parents assists caregivers of the elderly and chronically ill with information, referrals and support. The Family Caregiver Alliance was the first non-profit community organization to address the needs of family and friends providing long-term care at home. The website includes an extensive series of fact sheets for various diseases, disorders and caregiving issues. Medicare is a social insurance program administered by the U.S. government, providing health insurance coverage to people who are aged 65 and over, or who meet other special criteria. A service of the Library of Medicine at the U.S. National Institutes of Health, this extensive site is filled with continually updated health care information. It includes comprehensive information about prescription drugs, a medical dictionary and encyclopedia, and directories with the locations and credentials of doctors, dentists and hospitals. The National Alliance for Caregiving is provides support to family caregivers and the professionals who help them, and to increasing public awareness of issues facing family caregivers. The National Family Caregivers Association educates, supports, and serves as an advocate for more than 50 million Americans who care for a chronically ill, aged, or disabled loved one. 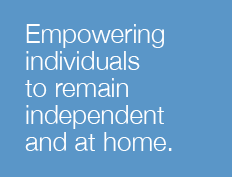 The National Organization for Empowering Caregivers provides assistance, education, support and referrals for informal family caregivers, as well as promoting public awareness about caregiving. This national nonprofit membership organization is for husbands, wives and partners of chronically ill or disabled people. The website also includes helpful information for non-members. Working Caregiver delivers resources to help families with parent care decisions, especially in finding and locating quality local senior service providers. ADACC provides information, training and technical assistance on rights and responsibilities under the Americans with Disabilities Act. ARC Connecticut is a private, nonprofit organization that advocates for full participation of people with mental retardation in all aspects of community life. The Brain Injury Association of Connecticut is a private, nonprofit agency helping people in Connecticut who have a brain injury and their families. The Connecticut Board of Education and Services for the Blind provides educational and rehabilitation services to people who are legally blind or deaf-blind and children who are visually impaired. The Department of Developmental Services is a state-funded agency that purchases and provides a wide range of services for Connecticut residents with mental retardation. Services include residential assistance, day programs, employment support, family assistance, case management and clinical services. Also known as OPA or P&A, this is a state agency created to safeguard and advance the civil and human rights of people with disabilities in Connecticut by providing information, referrals, consultations, advocacy assistance, and organizing assistance to local groups. The Connecticut Radio Information System broadcasts readings 24 hours a day from local and national newspapers and magazines. CRIS radios are provided at no charge to listeners who have a visual, physical or learning disability that prevents them from reading conventional print information. Military service members can receive expedited processing of disability claims from Social Security. Benefits available through Social Security are different than those from the Department of Veterans Affairs. The Epilepsy Foundation of Connecticut is a nonprofit organization that provides information, referrals, advocacy and support services for people with epilepsy. The Muscular Dystrophy Association combats muscular dystrophy and diseases of the nervous system and muscular system in general by funding research, providing medical and community services, and educating health professionals and the general public. The National Multiple Sclerosis Society strives to provide knowledge and assistance to help people with MS and their families maintain the highest possible quality of life. The Social Security Administration is an independent agency of the U.S. federal government that administers Social Security, a social insurance program consisting of retirement, disability, and survivors' benefits. 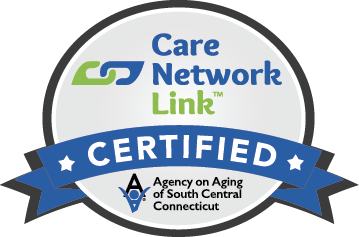 This site provides contact information and other information about the Centers for Independent Living in Connecticut. Based in New Haven, Continuum Home Health’s sister organization Continuum of Care works to end homelessness, overcome barriers to self-sufficiency and ensure a permanent place to live for all residents of the greater New Haven community. Mental Help Net promotes mental health and wellness education and advocacy. Psych Central is an Internet-based independent mental health network that provides information and self-help support. MyParkinsons.org is a resource for anyone who is caring for someone with Parkinson's disease. The site includes caregiver information, online resources and a full featured discussion forum. A division of the Connecticut State Department of Social Services, the Connecticut Bureau of Rehabilitation Services creates opportunities that help individuals with disabilities to work competitively and live independently. The National Council for Community Behavioral Healthcare is a not-for-profit association representing 1,300 organizations providing treatment and rehabilitation to help people recover from mental illnesses and addiction. AARP is a nonprofit, nonpartisan membership organization for people age 50 and up. A division of the U.S. Department of Health & Human Services, the Administration on Aging helps elderly individuals maintain dignity and independence in their homes and communities. The website includes suggested questions to ask physicians about diagnosing and treating various conditions related to aging. The Community Services Network is a consortium of 16 community-based organizations providing a variety of behavioral health services to people in the greater New Haven area. The Department of Social Services provides a range of services to the elderly, persons with disabilities, families, and individuals who need assistance in maintaining or achieving their potential for self-reliance and independent living. MDJunction is a social network that serves as a meeting place for people with health challenges.